The Ontario Ministry of Tourism, Culture and Sport established 13 Regional Tourism Organizations (RTOs) in the province to identify and implement regional priorities, in an effort to foster more strategic marketing of Ontario’s tourism regions. RTO12, also known by its consumer-facing name “Explorers’ Edge,” is a not-for-profit agency that is governed by a volunteer Board of Directors. The RTO12 geographic area includes Algonquin Park, the Almaguin Highlands, Loring-Restoule, Muskoka and Parry Sound. The mandate for RTO12 is to provide regional leadership and strategic planning, to develop strong marketing and collaborative partnerships, and to contribute to workforce development and skills training. RTO12 is seeking to hire a Consultant to act as the Facilitator of our Board of Directors’ Regional Tourism Strategy Planning Session that will take place on November 20 & 21, 2017 in Huntsville, Muskoka, Ontario. With input from the RTO12 Executive Director, create an Agenda for the 2-day session. Attend Day 1 of the Board Planning Session to meet Board members and to observe staff presentations. Facilitate Board participation in the discussions pertaining to development of the Draft Regional Tourism Strategy on Day 2. Follow up with Board members post-planning session to determine outstanding issues or further input. Create a one-page Executive Summary Report for the Executive Director that includes observations regarding the completed two-day planning session and recommendations for future sessions. 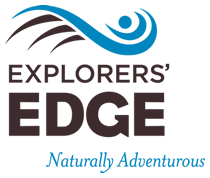 Explorers’ Edge invites interested parties to provide an Expression of Interest (EOI) to act as Facilitator of the RTO12 Regional Tourism Strategy Planning Session. Your knowledge of the Ontario Regional Tourism Organization model and RTO12 in particular. Your successful delivery of comparable facilitation services. Your sound understanding of Board Governance. Your proposed budget based on the development for each of the individual components of this initiative (the 5 stated above). Please forward all documents to and request for further information from James Murphy, Executive Director of RTO12 at james@explorersedge.ca on or before Friday November 3, 2017 @ 4.00pm. Note: Submitting a reply to Explorers’ Edge does not automatically guarantee that your company will be receiving future correspondence during the process.